The idea they got was attaching bells on a whisk. It was not a bad idea, is it? They could get the prop only with several hundred yen even it costs more than 20,000 JPY if you buy the real one! However, thanks of this strange thinking, I produced some unique routines. For example, I created a trick with a small silver cooking bowl. I produce many silver coins from the air and put them into a cooking bowl. 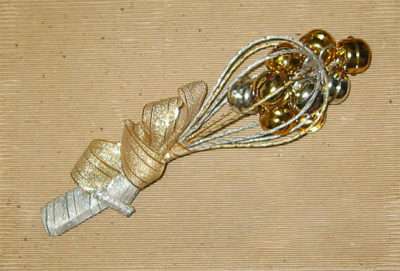 I flip the bowl upside down, then silver confetti flutter down from it and silver bells are attached into the whisk! It means the coins mixed by a whisk changes to confetti and bells! It was a kind of childish idea…. I also created some other routines which concern with a whisk for a while. BUT A WHISK AND A GORGEOUS JAPANESE FANS…! Now I know it was totally mismatch. It was trial and ERROR.